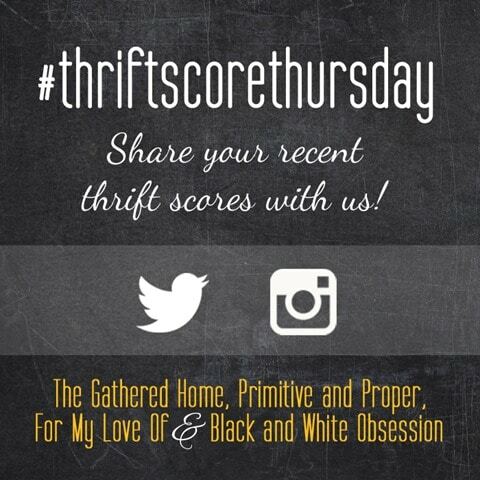 You are here: Home / Uncategorized / Thrift Score Thursday – I’m Guest Hosting! 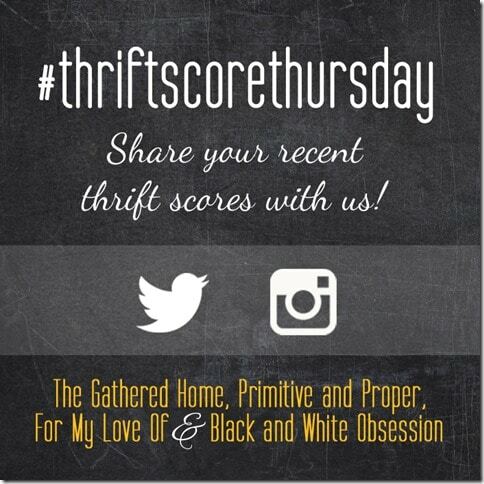 Thrift Score Thursday – I’m Guest Hosting! I’m delighted to be back with the Thrift Score Thursday gals to guest host. They graciously let me guest host back in April when I was on spring break and I enjoyed it so much. Now that I’m on summer vacation, I’m hosting again. 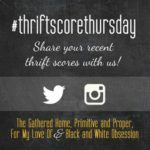 If you aren’t familiar with Thrift Score Thursday, Brynne from The Gathered Home, Trisha from Black and White Obsession, Corinna from For My Love Of and Cassie from Primitive and Proper share thrifty finds each week. 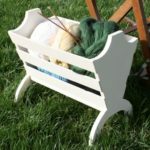 I love the way @aninspirednest displayed the vintage picnic basket and shoe stretchers that she scored over the weekend. A cute restaurantware mug was a find from @weekend_vintage. @slightlycoastal scored a pair for beautiful barrel back linen chairs for her bedroom. 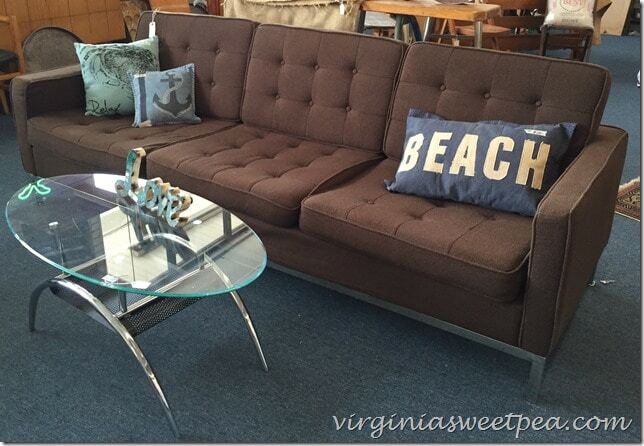 I was at the beach last week and had time to pop into a few thrift shops. It was fun to look but I knew that I couldn’t buy anything unless it was small for there was no room in the car. 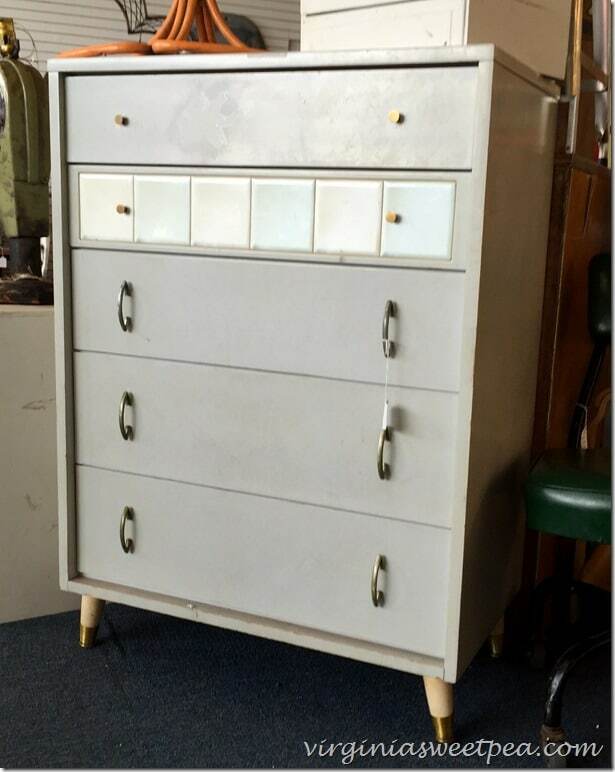 This mid-century dresser caught my eye. What I liked most about it was the way the handles on the bottom three drawers were attached vertically instead of horizontally like I usually see. 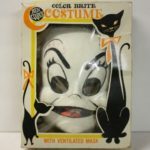 This was priced at $85 which I thought was high since it wasn’t that well made. The same shop had a set of four tulip chairs that I thought were super cute. These were $58 each. In the same shop, I snapped a picture of this sofa because it reminded me of the sofa my grandparents had when I was a kid. This one was in good shape but the fabric was really, really itchy. I was focused on the sofa when I took the picture but now that I’m back home, I see that the coffee table in front of it has a nice design. Before I left for the beach, I found a magazine holder that I had to have at a favorite local shop, Pastiche at Main. Now go check out more thrifty finds and be sure to tag your own finds on instagram and twitter with #thriftscorethursday. 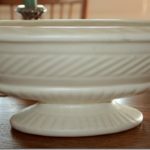 Click on each picture or the links below the pictures to check out what the Thrift Score Thursday gals found this week and to see their features. 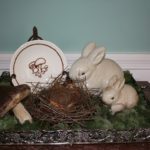 Trisha isn’t participating this week but the link will take you to all of her past Thrift Score Thursday posts to enjoy. I love the pieces that you found at the beach! I never think to go to thrift stores on vacation (I get sad when I can’t bring things home) but it still seems like a fun thing to do! 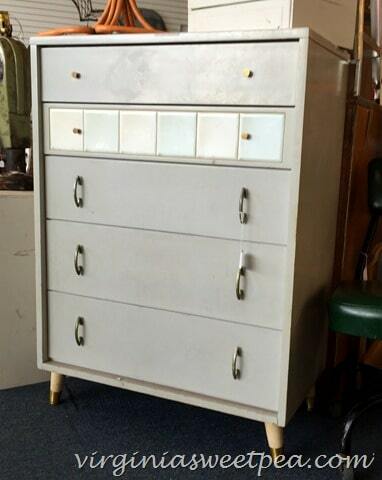 That dresser is really neat, but I also agree the price seems high. 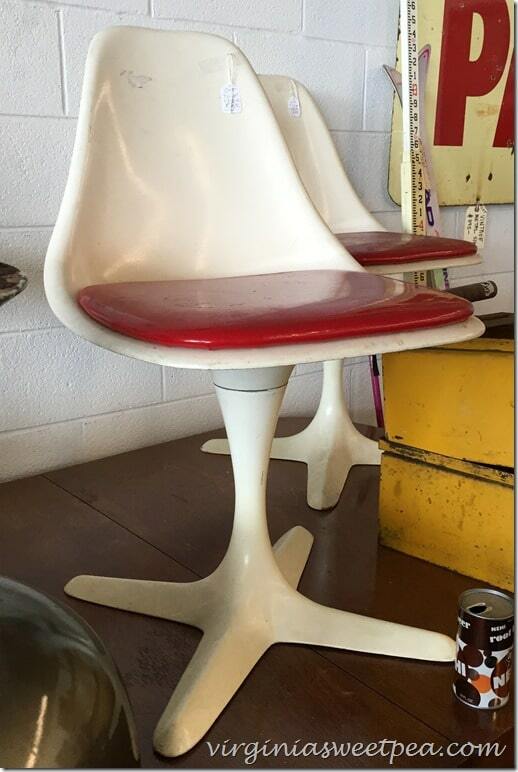 oh i may have snatched up those tulip chairs! LOVE them and that price is not bad at all! Love those features! I think it was a good call to pass on those finds. Those prices were steep, especially since they didn’t seem to be in stellar condition. Thank you so much for hosting with us! Those tulip chairs are mighty lovely! 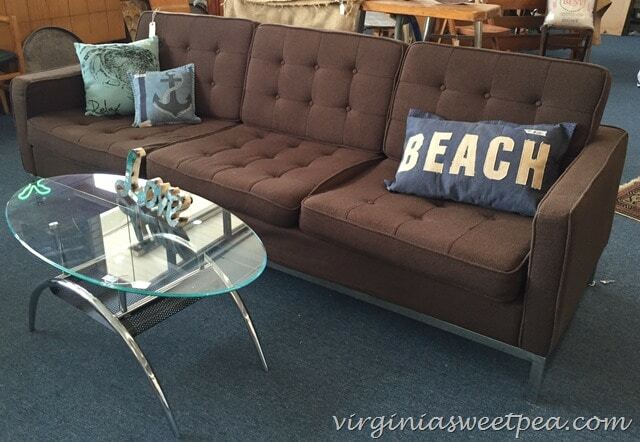 That sofa is the epitome of mid century design, but that fabric would have me running for the hills ha! Thank you so much for joining us again, its always a pleasure to have you Paula! !